420' has become synonymous with marijuana culture, with April 20th now dedicated as 'The Official Holiday' for weed enthusiasts. 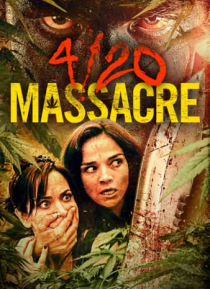 And now, this new holiday gets its very first themed slasher, with the gore filled 4/20 MASSACRE! Over 4/20 weekend, five young women have decided to celebrate their friend's birthday by taking a camping trip to a secluded part of a nearby national park.